Bronze perfume burner taken during a burglary at Chateau de Fontainbleau in March 2015. Photo courtesy of Interpol. 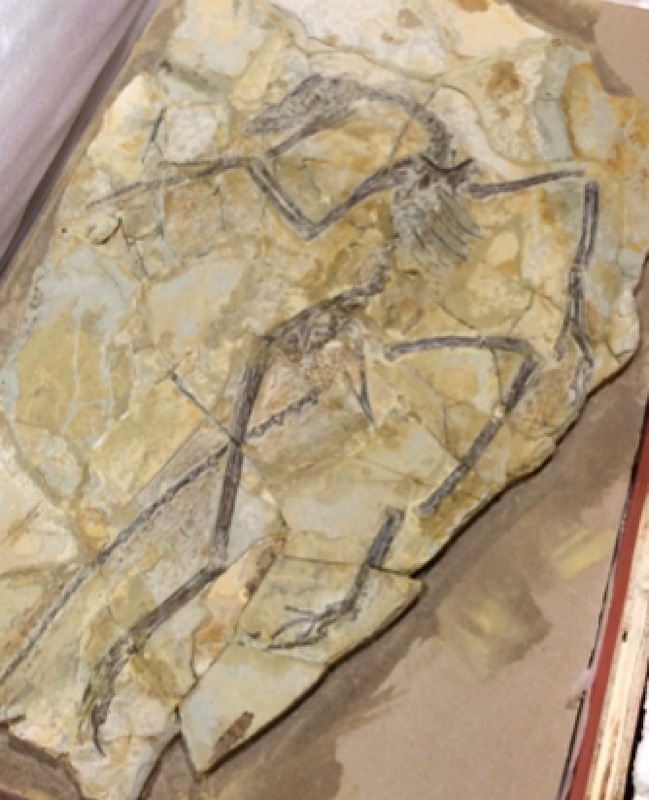 Here’s another item currently at large following the March 2015 burglary at the China Museum at the Chateau de Fontainbleau in France that we highlighted a few weeks ago. This bronze perfume burner was one of 15 items looted during the break-in. Chimera statue taken during a burglary at Chateau de Fontainbleau in March 2015. Photo courtesy of Interpol. Jewel encrusted mandala box taken during a burglary at Chateau de Fontainbleau in March 2015. Photo courtesy of Interpol. Horse-like chimera statue taken during a burglary at Chateau de Fontainbleau in March 2015. Photo courtesy of Interpol. Equipped with alarms and security cameras, Chateau de Fontainbleau, southeast of Paris, is a mixture of medieval stronghold, Renaissance palace and 21st Century security. But that wasn’t enough to stop burglars who hurled chairs into glass display cases and made off with 15 pieces of priceless loot in about seven minutes, covering their tracks with fire extinguishers before the security guards arrived. Listed as missing in the March 2015 heist were a trio of enamel chimera (mythical fire-breathing creatures, part lion and part snake), a Tibetan mandala and a crown from the king of Siam (now Thailand). The items were taken from the French castle’s China Museum, which was set up by Empress Eugenie, the wife of Napoleon III. The crown was a gift from a delegation to France in the 1860s, but not all of the pieces in the museum were acquired under such pleasant circumstances. Many pieces in Eugenie’s Asia collection were looted from China’s Old Summer Palace compound in 1860 during the Second Opium War. The story goes that, as the English and French armies were closing in on Peking (now Beijing), the Europeans sent out a group to negotiate a possible surrender on the part of the Chinese. The Westerners also sent a troop to secure the Old Summer Palace, also known as the Imperial Gardens and the Gardens of Perfect Brightness. The surrender talks didn’t go to well. The French and English delegation was captured and tortured with a high mortality rate, and the British ordered the destruction and looting of the Old Summer Palace, torching many valuables in the process. It wasn’t clear if any of the Old Palace loot was looted by the burglars in March. Additional Information: ORIGIN CHINA. REPOUSSE AND FILIGRANE GOLD, CORAL, TURQUOISE AND PEARLS. Elite Estate Buyers Inc., doing business as Elite Decorative Arts, an auction house located in Boynton Beach, Fla., and the company’s president and owner, Christopher Hayes, pleaded guilty today in U.S. District Court in Miami to an illegal wildlife trafficking and smuggling conspiracy in which the auction house sold rhinoceros horns and objects made from rhino horn, elephant ivory and coral that were smuggled from the United States to China. The prosecution of Elite and Hayes is part of Operation Crash, a continuing effort by the Special Investigations Unit of the U.S. Fish and Wildlife Service’s Office of Law Enforcement in coordination with the Department of Justice to detect, deter and prosecute those engaged in the illegal killing of rhinoceros and the unlawful trafficking of rhinoceros horns. According to records filed in court, Hayes and his company sold six endangered black rhino horns. Two of the horns were sold for $80,500 to a Texas resident involved in smuggling the horns to China. Two more rhino horns were purchased by an undercover FWS special agent. Another undercover agent with the FWS consigned two horns for auction. As part of the plea agreement, Hayes and Elite have admitted to being part of a far reaching felony conspiracy in which the company helped smugglers traffic in endangered and protected species in interstate and foreign commerce, and falsified records and shipping documents related to the wildlife purchases in order to avoid the scrutiny of the FWS and U.S. Customs and Border Protection. Elite aided foreign buyers by directing them to third-party shipping stores that were willing to send the wildlife out of the country with false paperwork. Elite and Hayes also admitted to selling items made from rhinoceros horn, elephant ivory and coral to an antiques dealer in Canada, who they then directed to a local shipper that agreed to mail the items in Canada without required permits. The defendants also admitted to selling raw rhinoceros horns, which they believed were from a black rhinoceros, to a person in Texas. Elite has agreed to pay a $1.5 million fine and to no longer engage in the receipt, consignment or sale of endangered or protected wildlife, or items containing endangered or protected wildlife, including items containing rhinoceros horn, elephant ivory and red coral. The investigation is continuing and is being handled by the FWS Office of Law Enforcement, the U.S. Attorney’s Office for the Southern District of Florida and the Environment and Natural Resources Division’s Environmental Crimes Section. The government is represented by Assistant U.S. Attorney Thomas Watts-FitzGerald for the Southern District of Florida and Trial Attorney Gary N. Donner of the Environmental Crimes Section. The government has repatriated an 18th Century Chinese incense burner to Harvard University after it was swiped more than three decades ago and then turned up at a Hong Kong auction house. BOSTON — U.S. Immigration and Customs Enforcement’s Homeland Security Investigations returned Tuesday an 18th century Qing Dynasty Jade Censer to the Harvard Art Museums, Harvard University more than 30 years after the artifact was stolen. Returned was a Qing dynasty jadeite incense container, also called a censer. The censer stands approximately six inches high and seven inches wide. The censer dates back to the last imperial dynasty that ruled China. The widow of Ernest B. Dane, a businessman who graduated from Harvard College in 1892, originally gifted the censer to the Fogg Museum, one of three museums that now constitute the Harvard Art Museums in Cambridge. In 1979, the Fogg Museum opened a small exhibition featuring a selection of jades that the Danes donated, including the censer. On Nov. 26, 1979, Harvard discovered the censer missing from its display. 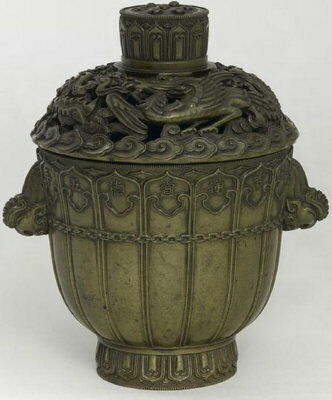 The museum contacted law enforcement authorities and notices regarding the theft of the censer were posted in the Art Theft Archive’s newsletter, the Art Dealers Association of America, Inc. newsletter, Interpol’s database and the International Foundation for Art Research’s stolen item database. Despite these efforts, the censer remained missing for nearly 35 years. In 2009, Sotheby’s auction house in Hong Kong prepared to offer a jade censer for sale in its fall Fine Chinese Ceramics & Works of Art auction. The censer had been hand-delivered to Sotheby’s Hong Kong offices by a private seller. Prior to the auction, Sotheby’s ran a search in the Art Loss Register, which matched the jade censer being offered for auction with the censer stolen from Harvard. The Art Loss Register then notified HSI of Sotheby’s query regarding the censer. HSI special agents notified Sotheby’s concerning the origins of the censer and that the censer was listed as stolen in Interpol’s Stolen Art Works Database. HSI special agents requested that the auction house withdraw the censer from its auction and Sotheby’s complied. The individual who delivered the censer to Sotheby’s never provided any documentation regarding the work of art’s provenance or ownership. On July 10, 2012, the United States filed a civil forfeiture complaint against the censer, alleging that the censer constitutes or is derived from proceeds traceable to a stolen good. On Aug. 7, 2013, the court entered a final judgment, finding that the censer is property of the United States. Subsequently, Sept. 25, 2013, the U.S. Department of Justice granted Harvard University’s request for return of the censer based on recommendations by HSI and the U.S. Attorney’s Office. The HSI investigation is still ongoing.